Martial Arts classes Toronto Hapkido Academy offers for men and women. breaking some serious sweat, and having fun. Hear what Martial Arts classes did for this 41 year old dad. Discover Martial Arts classes Toronto men and women rave about because they are adult-friendly, the workout is amazing, and the people attending the classes are very supportive and welcoming. Add all that to progressive training methods that are reality-based and cutting edge, and you’re in for the most exciting sweat pouring workout every class you attend. Exciting Beginner-Friendly Self Defense Lessons. Flexible Membership and Trial Options. Convenient, Well-organized Class Times To Choose From. Reality-based, and Practical skills… with a touch of Tradition. 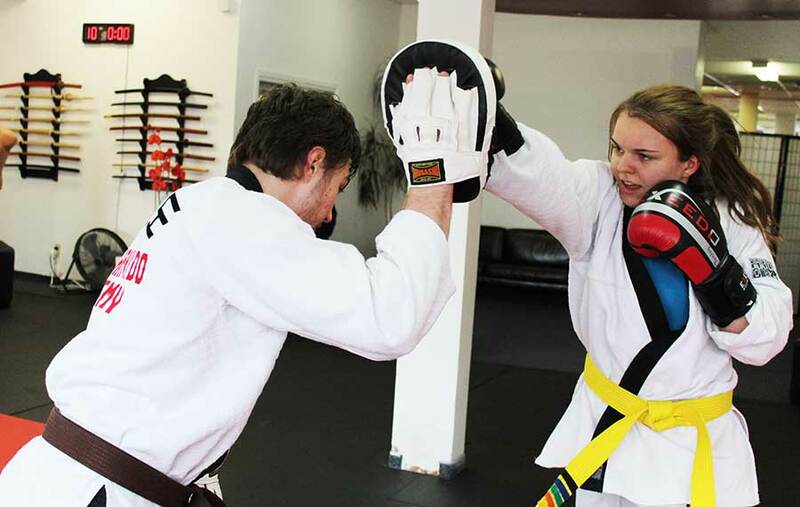 What makes the Martial Arts classes Toronto Hapkido Academy offers different? For starters, being beat up or getting hurt is something you will never have to worry about at Toronto Hapkido Academy. Our classes are safe, beginner-friendly, and well organized. See, we understand how intimidating a new activity like this can be at first. And no one wants to attend classes that are scary, boring, or repetitive. So, we’ve committed our efforts in making our Martial Arts classes Toronto adults will have fun with, that are functional, and fresh each time you attend. We focus on one thing above anything else – helping you achieve your training goals while helping you get in AMAZING shape! You’ll enjoy a total body workout; learn awesome martial arts, and have a ton of fun while you’re at it. Would you like to try out our Martial Arts Toronto classes? REQUEST CLASS SCHEDULE, PRICE OPTIONS, AND WEB SPECIALS. We’ll also share some of our insider training tips, technique videos, and fitness reports with you as a bonus. and getting in great shape. We commit our efforts to providing Martial Arts classes Toronto adults love attending because it offers amazing self protection skills to face opponents while standing, confined to close-quarters, or on the ground. Our members are confident that they can experience all the amazing benefits of martial arts training without the fear of injury or needing to become a pro fighter. All classes incorporate practical, safe, result-driven workouts with our adult members in mind. The goal – to help you achieve a leaner, stronger, and more alive body while gaining awesome martial arts skills. Whether you are a beginner simply interested in a recreational activity, or a athlete with previous experience looking to get back into something new and exciting, we work with you to help achieve your training goals. T.H.A Martial Arts & Kickboxing has a caring team of instructors who are always on hand to help you perfect every skill you learn. Another neat thing is that our facility and classroom environment is inspiring, modern, and CLEAN. You’ll experience a powerful reality-based martial arts for adults, in an optimum learning environment… and you’ll feel more empowered with every class you attend. Would you like to try out our Self Defense Toronto classes? 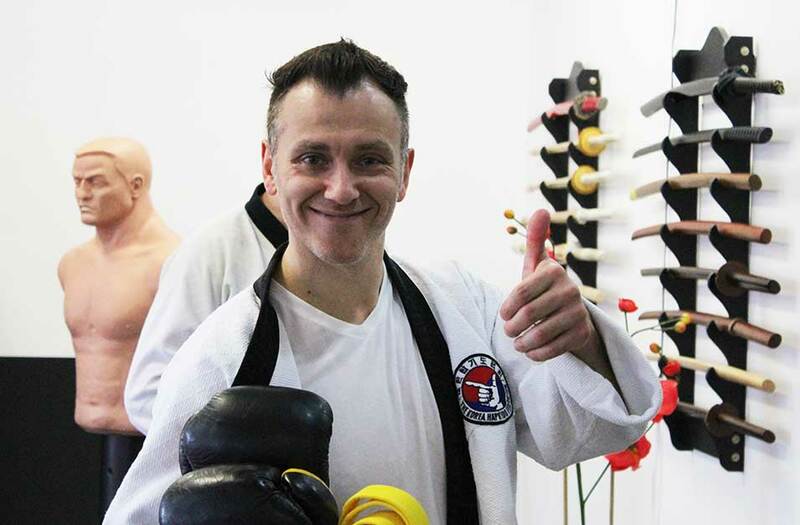 What Else Do Members Love About Martial Arts Classes Toronto Hapkido Academy Provides? Fun, Safe, Beginner-friendly Martial Arts classes. We have beginners (never done any type of exercise at all) to high level athelets and black belts in classes at the school. Whether you’re in great shape, out of shape, young or old, male or female, our goal is to help you achieve your best by creating a safe, fun, and supportive environment that inspires personal achievement and success. Flexible Memberships & Trial Options. One size usually doesn’t fit all… and some programs are downright unaffordable. We do our best to offer a variety of membership types, and trial options to suit your needs. Our committment is to serve you, so we pride ourselves in being very transparent with our tuition fees. As a plus, you’ll be working out in a modern, inspiring, and CLEAN industry-leading facility taught by highly skilled instructors. We embrace a progressive and street-smart approach to self protection while honoring traditional values such as humility, kindness, self-control, and respect. If you want Martial arts classes Toronto lessons with intensive workouts in a mature environment while learning practical skills safely and responsibly – we would be a great fit for you! 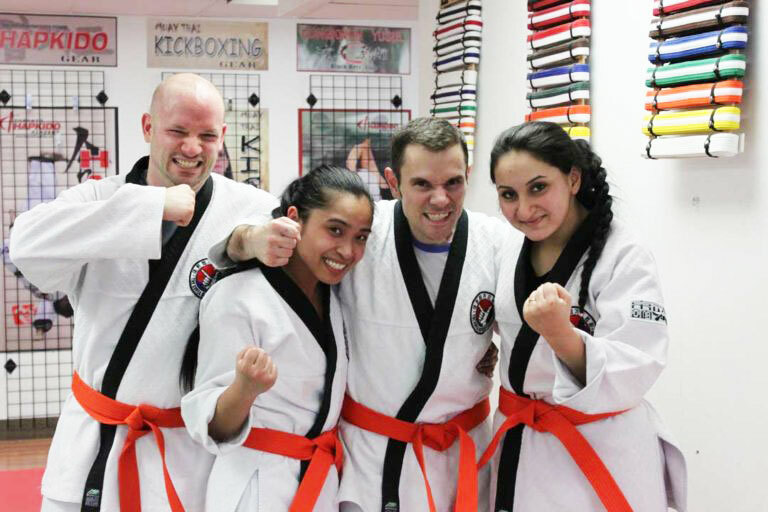 T.H.A Martial Arts & Kickboxing (Toronto Hapkido Academy)’s is an adult-friendly Toronto Martial Arts School with classes that are fun, non-intimidating; and the coolest part is that you don’t need any experience to get started. We designed our classes with you in mind… and have a caring team of couches and instructors at hand to help you each step of the way. If you’ve always been fascinated with martial arts, Judo, Jiujitsu, Aikido, BJJ, or throwing and grappling-type arts in general, these Toronto Self Defense classes are for you. Contact us and get started today. You’ll love what we do! What I love most about these martial arts classes Toronto adults experience is how friendly and welcoming all of the instructors are as well and the other members. The workouts are intense and everyone motivates and pushes one another so that everyone can get the best workout possible! Great place for everyone! The adult classes are welcoming and exciting. There is always something new to be taught and you are constantly challenged to push your body to obtain great fitness results. I would recommend this place to anyone who has ever had even the slightest interest or curiosity towards martial arts. This place will really give you a different look of martial arts. Highly energetic class that will get your physical aptitude going in a serious way! The instructors are professional, fun and motivating. In 6 months i have lost almost 35 lbs and have gotten down to 15% body fat. Guaranteed you will be hooked!!!! This is by far one of the best martial arts classes Toronto schools I have ever trained at. Genuinely nurturing, motivating, and professional people that I have met. The school embodies the historical martial arts spirit of discipline, respect, and camaraderie with the modern element of fun and humour. Since the first day I joined, they always greet me by name and they notice when I have been missing for a few days.